Windows Phone 7 Workshop at Microsoft Sri Lanka. 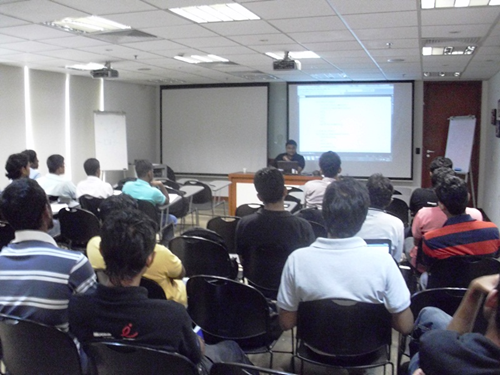 27th of January I did a Windows Phone 7 Workshop at Microsoft Sri Lanka. Around 30 students came to the event. 2nd day of the event targeted for apps and games development competition. Windows Phone 7 App Development. Singapore Once Again for the 10th Time. This weekend i`m going to Singapore Again for the 10th time.And I’m doing Microsoft Training at Singapore. The concert hall at the Syndey Opera House holds 2,700 people. This blog was viewed about 25,000 times in 2011. If it were a concert at Sydney Opera House, it would take about 9 sold-out performances for that many people to see it.